Thinking of tourist attractions in Kannur, the first thing that comes to mind is the great beaches. The line up of brilliant beaches along the sandy coast is quite captivating. Beaches are the best, but is there anything more? Well, the answer is a big smile. Of course, there is plenty to see and do. Whether stopping by or staying for several days, Kannur has enough to keep your time here refreshing and entertaining. Stumbling upon charming spots away from mainstream tourism, you may be glad to see simple villages as they are. To touch a bit of history, to have a peek in to the culture or simply to get into some sightseeing, the following tourist attractions in Kannur, are the top pick. Locals call it Kannur Kotta (Kannur Fort). The historic monument is maintained by Archaeological Survey of India. Built in early 1,500s by Dom Francisco de Almeida, the first Portuguese Viceroy of India, it changed hands quite a few times. The Dutch who took over the fort in the seventeenth century did a thorough revamp. A painting of this fort displayed at Rijks Museum in Amsterdam narrates their Kannur connection. The sea side bastion overlooks Mappila bay and Arakkal Museum, two other tourist attractions in Kannur. The fort is said to have a 21 km escape tunnel running all the way to Thalasseri Fort. Existence of such a secret passage is yet to be confirmed though. Kannur used to be the capital of Arakkal Kings, who ruled the surrounding areas plus the island of Lakshadweep. A part of Arakkal Palace is now converted to a Museum, displaying artifacts and items of historical interest. Arakkal Museum is managed by Arakkal family, the descendents of erstwhile rulers. Arakkal Museum is located at Ayikkara in Kannur town in proximity to Kannur Fort. Payyambalam is a great beach that is quite long and broad. However, as the main beach of Kannur town, it is a popular hangout spot. So expect crowds during evenings and weekends. A huge sculpture of Mother and Child appears striking in the middle of a well laid out beach garden. Compared to the nearby Payyambalam beach, this beach is small and hence the name. Kannur Fort is just in its vicinity. This world class drive-in-beach, where you could have a fun drive almost 4 kms, is one of the top tourist attractions in Kannur. During peak tourist times, there can be a line up of vehicles. Nevertheless, the beach stays entertaining. The rocky coastal waters have shallow pools in plenty. Past the rocks, only mild waves reach the shore. So the beach is great to swim. Just a couple of hundred metres from the beach is a gorgeous island. 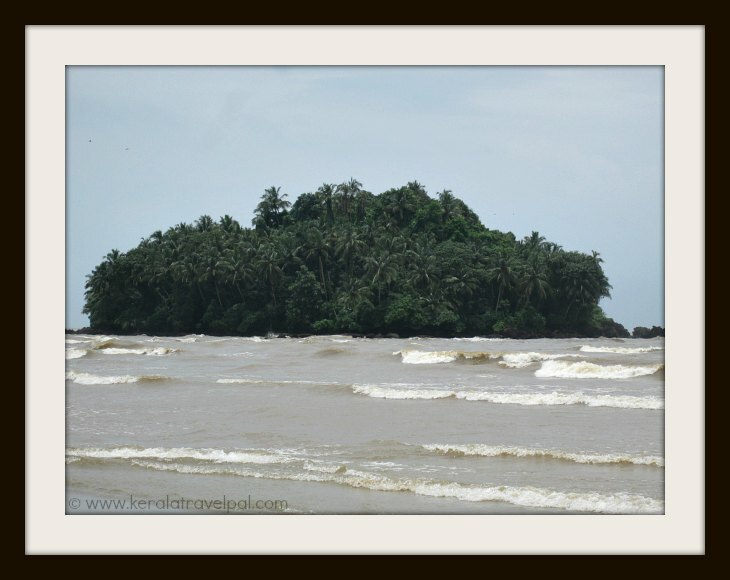 Dharmadam island, a sightseeing spot in its own right, is one of the well known tourist attractions in Kannur. Just at a stone’s throw away from Muzhappilangad drive-in-beach, Dharmadam is a tiny uninhabited islet. Its whole area is just 5 acres. Aptly, Dharmadam is also called Green Island. With dense bushes and coconut trees, the beach isle is a drop of green amidst a sea of blue. Intense and rhythmic, Kalarippayattu (or Kalari) is a martial arts form that blends strategy to speed. Delicately practiced by many enthusiasts all over Kerala, Kalari has a respectable heritage of thousands of years. A firsthand experience of Kerala’s unique body combat is something quite different. Feels tempted to have a look? Then head to MGS Kalari Sangam. Operational since 1930s, the renowned Kalari training centre is easy to access from Kannur town. The Kalari Master or chief is called by the title Gurukkal. The current Gurukkal is a veteran with over 35 years of experience in the field. Watching body combat sessions here may make one wonder about the swings and steps. For visitors, they also offer different types of massages that are based on the principles of Kalari and Ayurveda. The conventional martial arts centre is one of the unconventional tourist attractions in Kannur. 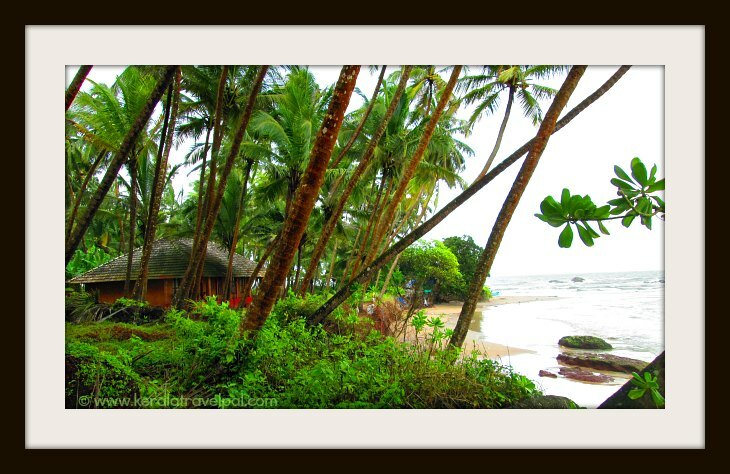 Secluded and stunning, Meenkunnu is a beach just 12 kms away from Kannur town. If you are not contend with the mainstream Payyambalam beach and the crowds there, try Meenkunnu. Enjoy the sandy spread of two adjoining beaches - Meenkunnu and Chala. Meenkunnu is the southern corridor near the cliff. Beach here is broader and nearly deserted except for some fishermen. Chala beach beach is neatly kept, has a small beach garden and receives some visitors. Kizhunna and Ezhara are stunning beaches shaped up by rocky coves. Perfect for idyllic holidays, they are located 12 from Kannur town. Splendid sands at the feet of ambient coconut palms just around the meeting point of Thottadda River into the sea, is one of the impressive beaches around. In case you are opting to settle down, there are some good home stays around. Parassinikadavu temple is one of the popular shrines in Kerala. The temple and rituals are a quite unique. It is located about 15 kms from Kannur, on the banks of Valapattanam River. The temple welcomes everyone regardless of caste or creed. The deity, Sree Muthappan, is Kiratha (the hunter) incarnation of Lord Siva. Muthappan is common man’s god. The deity loves alcohol, fried fish and meat. That is a total breakaway from the customs of most Hindu Temples. There are no idols in the temple. The major ritual is Theyyam, the dramatic folk dance. It is performed daily. During Theyyam dance, the deity takes over the body of the performer and talks through him. Parassini temple visit gives insights into the Hindu rituals of North Kerala. Boating in the backwaters that flows next to the temple is something to look forward to, as well. The Snake Bite Treatment Centre at Pappinisseri runs the Snake Park. Here you can see about 150 types of snakes which include both poisonous snakes as well as their non-poisonous cousins. Those who greet you from glass cages include Cobras, King Cobras, Vipers, Pythons and Kraits. One of the crowd pullers is snake demonstrations. During these shows, trainers playfully handle snakes. Such performances happen several times a day, if not by the hour. The Snake Park is near Parassinikadavu Temple and Vismaya Amusement Park. 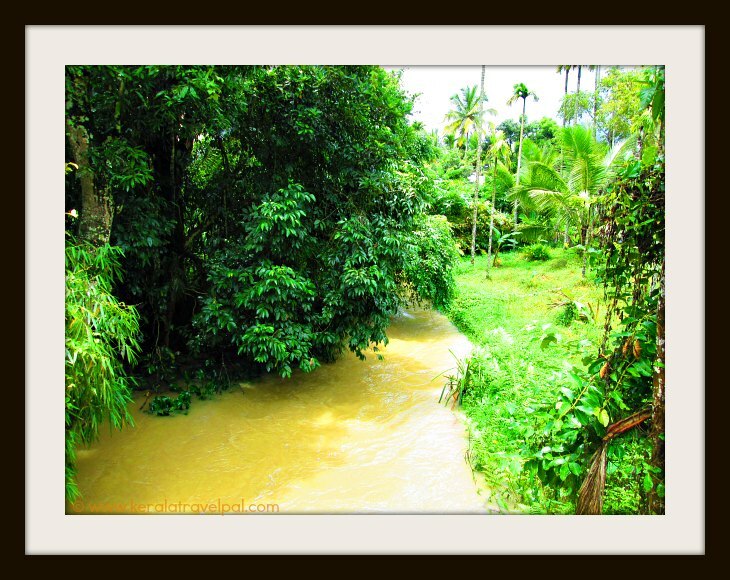 It is located 16 kms from Kannur town, 2 kms off from the highway to Taliparamba. The water theme park is a popular family holiday spot in North Kerala. Water rides and fun activities designed for different age groups makes it one of the busiest tourist attractions in Kannur. Vismaya is located at Parassinikadavu. The Sanctuary spreads over 55 sq. Kms of tropical forests along Western Ghats Mountains. Animals such as Bear, Elephant, Sambar, Barking Deer, Wild Boar and Gaur and many more are sighted. Tigers and leopards even though present are not usually seen. There are some interesting ones such as Flying Squirrels and King Cobras. Aralam is great for bird sighting. There are 188 species of birds seen here! The Sanctuary conducts nature camps as well as jungle treks. Central State Farm is a nearby outfit that you may find worthwhile to visit. The farm is dedicated to the research and development of hybrid coconut trees. Initiated by the Government, the facility that spans about 3000 hectares, also makes to the list of tourist attractions in Kannur. Pythal Mala is a hill station located 65 kms from Kannur. At about 1450 metres above sea level, cooler climate and panoramic views set Pythal Mala as a major tourist attraction in Kannur district. Trekking desires can be fulfilled by taking on a 6 km climb to the top of the hill. The lush landscape appears even prettier with birds, flowers and butterflies in abundance. Tucked between hills and the ocean, Ezhimala beach is blessed by beauty. Mystery surrounds the carved stone pillars scattered over the slopes as well as the ancient burial chamber. A mosque at the top of the hill attracts plenty of visitors, especially because it is the final resting place of Sheikh Abdul Latheef, a Muslim reformist who lived centuries ago. Native to the hill slopes are rare herbs, of which even ancient Indian texts describe. Otherwise a sleepy remote village, Ezhimala has become a place of strategic significance since Indian Naval Academy started one of its bases here. The Naval Academy is the largest of its kind in India and the third largest in the world.